Aldi have done it again! 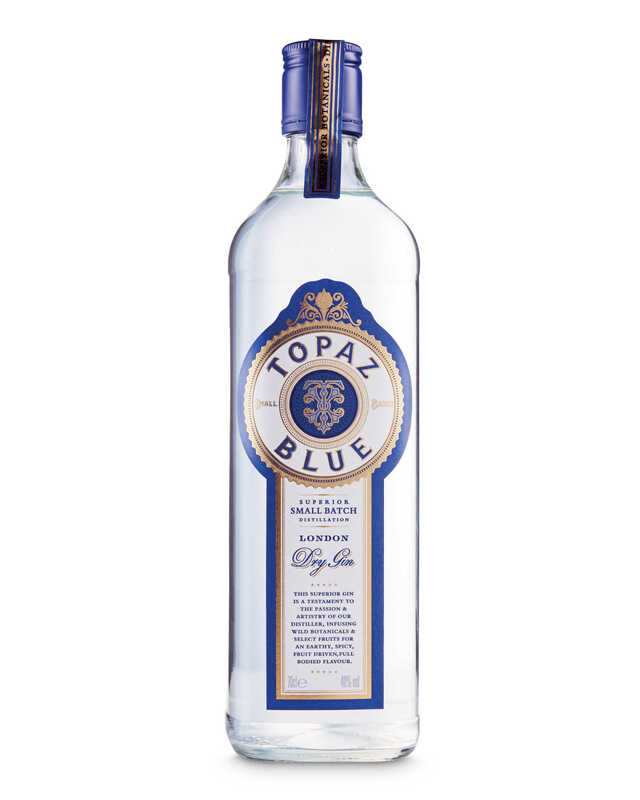 Topaz Blue Premium Gin is perhaps one of the best Premium gins around considering its very attractive price point. Its blue-backed bottle has shelf appeal and is rather reminiscent of another gin with a similar azure hue. Aldi say, ‘Topaz small-batch, hand-crafted superior gin is a testament to the passion and artistry of our distiller’. That is quite a statement but likely garnished with some truth. Topaz Blue certainly offers all the hallmarks of a carefully produced spirit. Topaz Blue presents wild botanicals and seledistilled in limited batchescted fruits which are . The label doesn’t state that a Carter Head still is used just like Bombay Sapphire but it’s possible. It’s a device that allows delicate plants, fruits and flowers to be distilled without creating unwanted flavours. Appearance: Blue tint when in the bottle. Colourless and crystal clear in the glass, with modest legs. Nose: juniper and earthy spice, hints of refreshing citrus. A little pineapple and a suspicion of berries. Palate: Light aromatics presenting coriander and plenty of fruit. Topaz Blue Premium Gin by Aldi is a value-for-money spirit and ideal for sipping with a classic tonic and a slice of lemon. A good solid gin.